"Пётр и Патрик" : Save Daniza, the Mama Bear! защита природы защита природы - Save Daniza, the Mama Bear! Officials in Italy are preparing to capture and possibly kill Daniza the bear for protecting her cubs. Act now to protect Daniza! Tell Italy: Don't Kill Mama Bear Daniza! 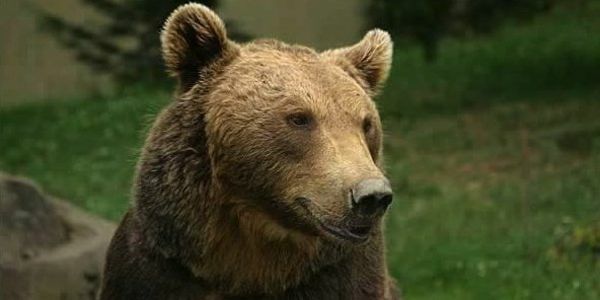 Italian authorities are working right now to capture Daniza the bear and could even kill her if she resists her capture. Daniza attacked a man collecting mushrooms in the forest because he was close to her bear cubs. The man was injured but is still alive. It is outrageous that Italian authorities are trying to punish this bear simply for protecting her offspring. Sign the petition now to demand that Italian authorities stop plans to capture and possibly kill Daniza the bear. Daniza is part of a successful reintroduction program called Life Ursus, which has brought brown bears back to Italy. But now the Italian right wing is scapegoating Daniza because they want to end the reintroduction program. Capturing Daniza and leaving her cubs without their mother would be an historic defeat. Click here to stand with Daniza and demand that Italian authorities do nothing to harm her.